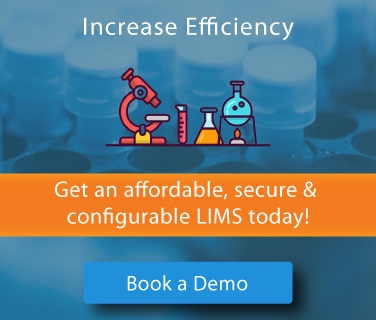 With the growing understanding of the benefits associated with adopting a LIMS, there exists a continuous dilemma of how to zero-in on a LIMS that is efficient, flexible and scalable to accommodate the needs of today and tomorrow. It is necessary that the chosen LIMS fit the budgetary layout, thereby maximizing returns on investment. 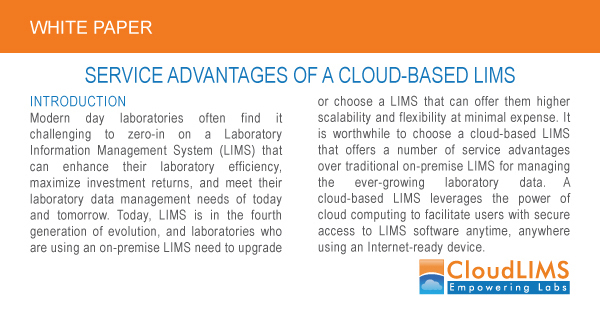 For laboratories looking for cutting down on resources, it is worth their while switching to a cloud-based LIMS. A cloud-based LIMS leverages the power of cloud computing, facilitating users with a secure access anytime, anywhere using an internet-ready device. 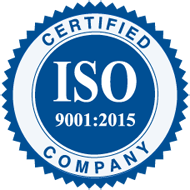 It allows the laboratories to forgo an investment in IT infrastructure; computers and servers alike. Furthermore, a cloud-based LIMS is scalable, thereby facilitating laboratories to upscale or downscale per their business needs. Unlike an on-premise LIMS, a cloud-based LIMS enables data sharing among collaborators at different geographical locations in real time. Several cloud based LIMS are offered with a pay-as-you-go (PAYG) model, making them affordable for small and medium labs. The present paper underlines the service advantages of a cloud-based LIMS that can help biobanks, clinical research, analytical, and food & beverage testing laboratories, make a conscious decision while choosing a LIMS that best fits their needs.